Zaragoza, also called Saragossa in English, is the capital city of the Zaragoza province and of the autonomous community of Aragon, Spain. It is situated on the Ebro river and its tributaries, the Huerva and the Gállego, near the centre of the region, in a valley with a variety of landscapes, ranging from desert (Los Monegros) to thick forest, meadows and mountains. 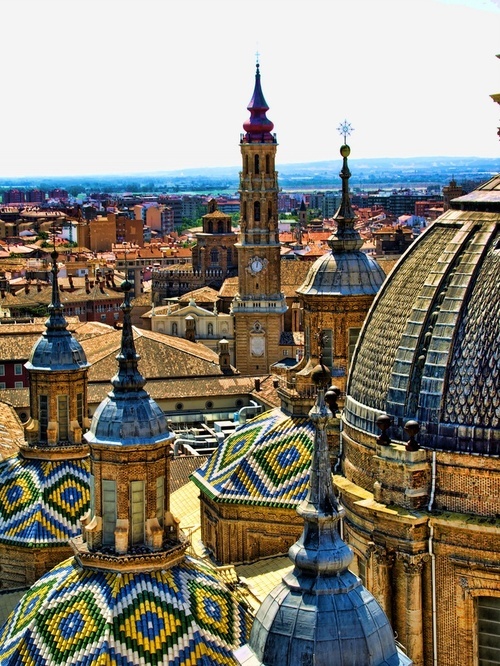 On 1 September 2010 the population of the city of Zaragoza was 701,090, within its administrative limits on a land area of 1,062.64 km² (410.29 sq mi), ranking fifth in Spain. It is the 35th most populous municipality in the European Union. The population of the metropolitan area was estimated in 2006 at 783,763 inhabitants. The municipality is home to more than 50 percent of the Aragonese population. The city lies at an elevation of 199 metres.